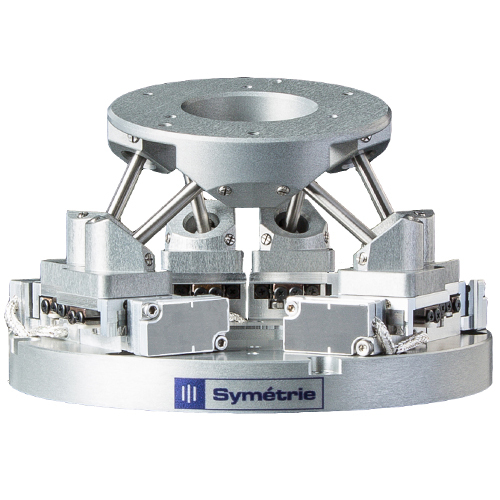 NanoPos is a miniature hexapod of 68 mm height for positioning and adjustment of precision components in 6 degrees of freedom with a 10 nm resolution. 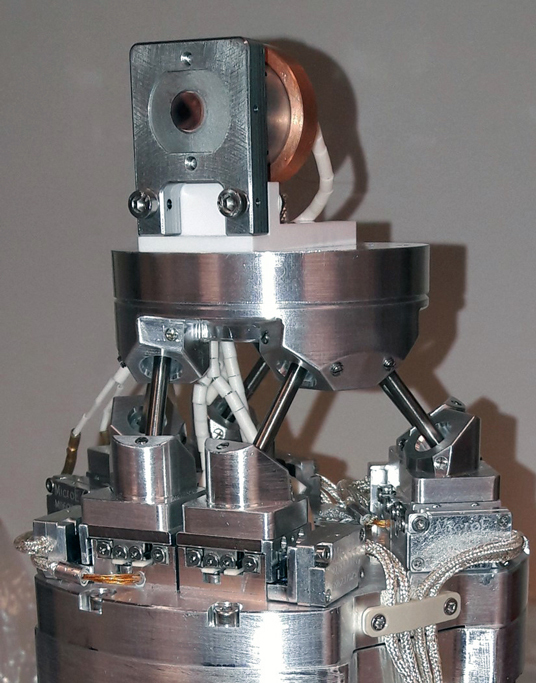 NanoPos hexapod comes with outstanding characteristics for its small size thanks to the integration of extremely compact piezo stages, high quality joints and low friction mechanical parts. 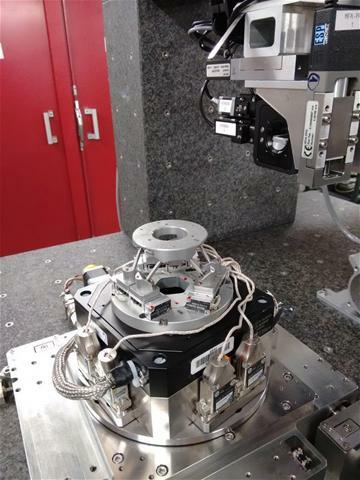 Its closed cloop control with linear optical encoders enables it to reach the highest precision performances. HV and UHV versions are available.